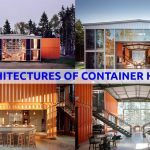 Where to place the openings in a container home, like container home doors and windows? 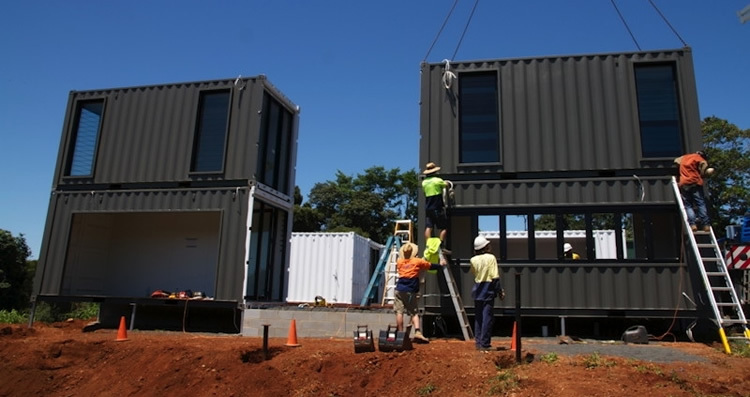 Just like the bright openings, the container home doors and windows will allow you to create different lightings in your container home. First ask about the prevailing winds in your area. It will be better to create air intakes at the sides in front of these winds, to optimize the natural cooling of your habitat in summer for example. Also it will allow you to aerate your home faster. A southern exposure with large windows in the living rooms will allow you to enjoy the natural warmth of the sun. A home with a fully glazed facade to the South can benefit from Heating only from the sun’s rays with good insulation. Moreover the brightness and warmth felt in your interior through your container home doors and windows will add comfort to your container home. 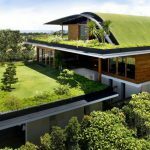 With good insulation and wisely placed container home openings you can enjoy an optimal climate in your container house without spending any money all year round. Since the container is a large closed box, it is not usable as a dwelling as it is; openings will have to be cut. 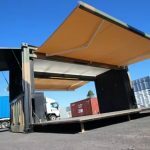 You have to be very careful when arranging the container home doors and windows and all other openings of your container, especially if it is spread over several floors, to avoid the risk of seeing everything collapse one day. When we make an opening we will have to strengthen it, as well as the container with a wooden frame. Very often we will use the cuttings to weld a metal frame around the opening on which we will screw a wooden frame that will be used to place the window. We will eventually back up the container with a chevron frame that will also be used for insulation. In the case of a complex multistorey construction, a calculation of the strength of the materials should be made and the structures dimensioned accordingly. 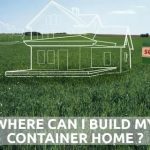 You can find detailed information about container home doors and windows and many detailed plans, designs and everything you need to know in “Build Your Own Shipping Container Home, Step by Step Comprehensive Guide Professional Set”.